This is our Labour Party and Joint Trade Union leaflet that was handed out on Saturday in Stratford High Street and Green Street by local Labour Party and trade union activists. This is in support of the TUC demonstration on Saturday 20 October in London which calls for an alternative economic policy to austerity. 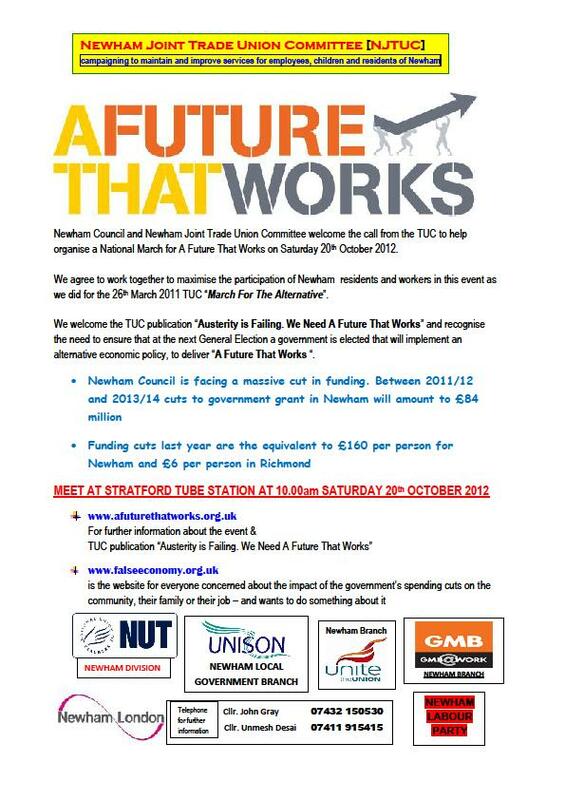 Newham residents and trade unionists who have not made other arrangements to join the march should meet up at 10am on Saturday 20 October outside Stratford Station. Where you can join up with Newham Labour Party activists and others to travel down to the Embankment and march together.